I have always loved painting, but I haven't found myself doing it consistently since college. It seems that I need a project or assignment to motivate me or else life gets in the way. 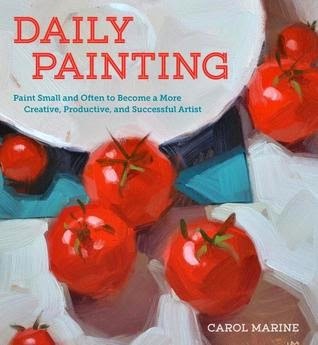 This book is great for providing inspiration and instruction to create a daily (or more often than occasionally) habit of painting and improving skills. The images in the book are excellent, with several full-page pictures as well as smaller ones interspersed with the body text. I appreciated that she included work from other artists as well as her own work which gave a nice variety. The narrative is personable and informative. I definitely recommend this to anyone looking to paint on a regular basis and/or improve skills.